2018 Ford F-150 FX4 SuperCrew 4WD WITH a V8, Flex Fuel, 5.0L!! Our service department just finished lifting, brand new Chrome Fuel wheels with Mastercraft Courser MXT tires! Inside you will find Gray cloth seats, touch screen interface, AM/FM radio, SAT, steering wheel controls, cruise control, Bluetooth, auto headlights, fog lights, backup camera, rear sensors, digital vehicle information center, side steps, tinted windows, power windows, power mirrors, power door locks, tow package and much more! 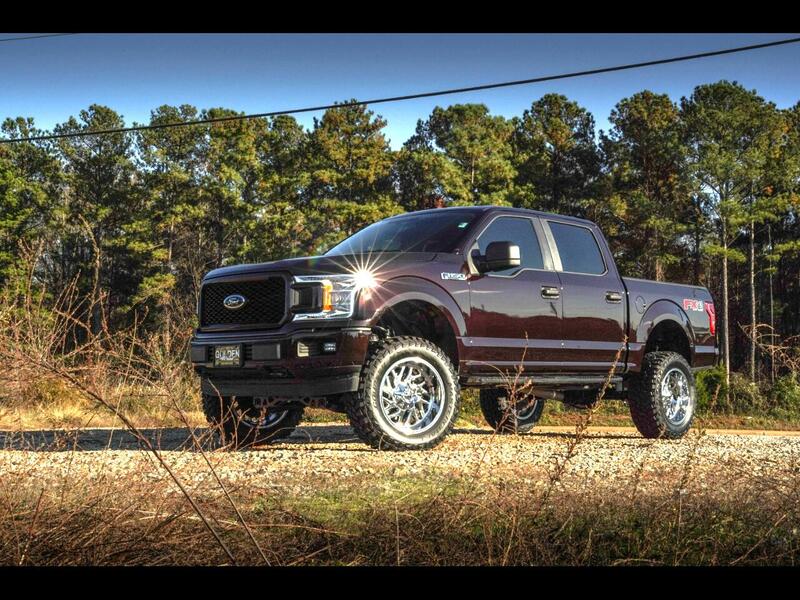 If you are interested in this lifted Ford or any of our available inventory give us a call 803-808-5235 or stop by and take a test drive!